Has your smile been damaged by gum disease? You are not alone. In fact, the Centers for Disease Control and Prevention estimates at least 50% of adults suffer from a form on the infection. 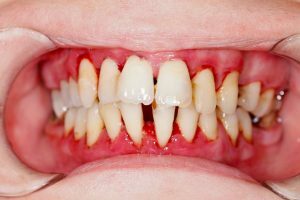 Although it is easily treatable without invasive procedures during its earliest stage, known as gingivitis, symptoms of the infection often go unnoticed. As a result, it progresses in severity. To save your smile, you may need gum surgery in Canton. Dr. J.D. Robison uses the latest advancements in dentistry to restore your gum health. During the first stage of gum disease, the infection causes your tissue to become red and inflamed. It is not uncommon for the gums to bleed when brushing or flossing your teeth. 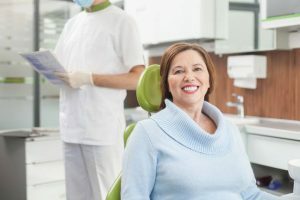 At this point, the infection can be stopped without causing any long-term damage using changes to your oral hygiene routine and with a deep cleaning from your dentist in Canton. Unfortunately, the infection is often left untreated until it progresses in severity. Now, your oral structures that support your teeth can be destroyed. If the damage is not repaired, it can lead to the eventual loss of your teeth. Also known as pocket reduction surgery, the treatment is used to reduce the size of the pockets in the tissue while allowing the gums to reattach to your teeth. Tiny incisions are made in specific areas of the tissue, so it can be lifted back. Now that the roots are exposed, a more effective cleaning is performed. Before suturing the tissue back in place, it is recontoured to improve aesthetics while also making it easier to clean after it has healed. If gum recession is extensive, the tissue needs to be reinforced with a soft tissue graft. A small amount of tissue is taken from the roof of your mouth or another donor source and attached to the treatment area. 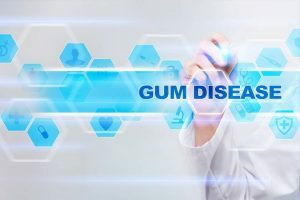 This not only prevents further gum recession but also covers exposed roots to help seal out bacteria. Advanced stages of gum disease destroy your bone that surrounds your tooth roots. If it is not restored, your teeth will become loose and fall out. To treat the issue, small fragments of bone are taken and grafted to the treatment site to help hold your teeth in place. Dr. Robison strives to provide nonsurgical solutions to restore your periodontal tissue. Unfortunately, there may come a time when there are no other viable treatments. After an extensive consultation, he determines which type of gum surgery is in your best interest. Do not let the damages of gum disease hurt your oral or general health. You can save your smile with gum surgery. Contact Robison Dental Group today to schedule your consultation.